Attorney Catherine Gibson has tried cases against insurance companies and represents people who suffer physical and mental damages from car accidents, slip and falls and trucking accidents. She spends her time investigating claims and working every angle of the case to ensure that her clients who suffered serious injuries recover for the losses they have sustained. A personal injury affects more than just the individual, the whole family is impacted when a loved one is hurt. Since the founding of the firm, we have helped thousands of families obtain justice and get paid what they deserve for their injuries. We know how an accident can not only injure your body but impact your ability to work. Our clients are not just a number, we know their names and their children’s names. We are committed to helping our clients get back to living their lives to the fullest. People choose our firm because we take the time to get to know our clients so we can explain with intimate detail the hardship they face when dealing with an injury. Please contact The Gibson Law Firm if you or a loved one was injured due to someone else's negligence. We have an office in the Atlanta area and New York City area. We look forward to meeting with you to evaluate your case. The personal injury consultation is free and confidential. We care about our clients. We take the time to get to know them and understand the unique challenges they face: whether it is a major surgery, a permanent disability or facing the possibility of losing their job because they are physically hurt. The staff and attorneys are good at what they do, and they care about people. Please call or visit our office and we will make you feel comfortable and, you will be treated with respect and courtesy, from the paralegals who greets you to our personal injury attorneys who will fight the insurance companies for you. We don’t let the insurance companies short change you. We fight for your rights and for your recovery. The big insurance companies try to pay as little as possible to resolve your injury. The aggressive attorneys at The Gibson Law Firm are prepared to take them on for you and demand the maximum settlement you deserve. We represent people who have been injured in car accidents, slip and falls, and trucking accidents and Georgia and families who have lost loved ones in wrongful deaths. Our legal professionals are dedicated to helping people obtain the financial settlement they deserve for their losses. Please contact our Atlanta office for a free and confidential consultation about your accident case. There is no obligation and you don't pay us unless you win. Ms. Gibson represents clients with small business incorporation and limited liability formation, the issuance of shares and membership units, formation of partnerships and drafting of partnership agreements, and formation of for profit and not-for-profit businesses. She also has experience with many areas of immigration including the naturalization process, work visas, temporary protected status, and marriage based residency petitions. As a certified mediator for the State of Georgia, Ms. Gibson has extensive experience in mediating both general and civil matters and landlord-tenant matters. While at Emory Law School, Ms. Gibson was awarded the Henry Quillian prize for outstanding achievement and distinction in Contracts and Commercial Law and the Harry L. and Elanore Raoul Green Scholarship. Prior to opening the Gibson Law Firm, LLC, she clerked for King & Spalding, LLP, and practiced commercial real estate law at Powell Goldstein, LLP prior to becoming managing partner at The Gibson Law Firm, LLC. Practices in the areas of personal injury, residential and commercial real estate, business law, civil litigation and immigration. Her practice includes slip and falls, car accidents, trucking accidents, and wrongful death. She assists clients with loan modifications, zoning and land use, purchasers and sellers in acquisitions and disposition of residential and commercial properties and drafting of leases for landlords and tenants. She has experience in the representation of developers, investors, multi-unit housing. While at Loyola University New Orleans College of Law, Patience was an Articles Editor and Alumni Outreach for the Loyola Journal of Public Interest and a student practitioner of the Immigration Law Section of the Stuart H. Smith Law Clinic and Center for Social Justice. Practices in the areas of residential and commercial real estate, business law, personal injury, civil litigation and immigration. She has a special interest in immigration law and has experience with many areas of immigration including the naturalization process, visas, temporary protected status, marriage based residency petitions and detention. Need Legal Assistance - Do You Have a Claim? Feel free to get in touch with any enquiries and one of our friendly members of staff will get back to you as soon as possible. Known by all as Ms. T, serves as the Office Manager for The Gibson Law Firm. Her responsibility includes oversight of all administrative and business management aspects of the Firm. Ms. Johnson has over 30 years of administrative/management experience. Prior to joining the Firm, Ms. Thomas worked as a Manager with AT&T for over 25 years where she held multiple management positions. Prior to her retirement from AT&T in 2004, she was the Environment, Health & Safety Stakeholder Affairs Manager in which she served as the liaison to external nonprofit and congressional environmental groups in partnership with AT&T. Ms. Thomas is known for her outstanding culinary skills. She makes a “mean” quiche. She is an avid lover of jazz and proudly serves as a mentor to young adults whenever possible. She also enjoys spending time with friends and family and reading. Senior Paralegal with The Gibson Law Firm, LLC. She works in the areas of Real Estate Transactions, Commercial Transactions, and Personal Injury. 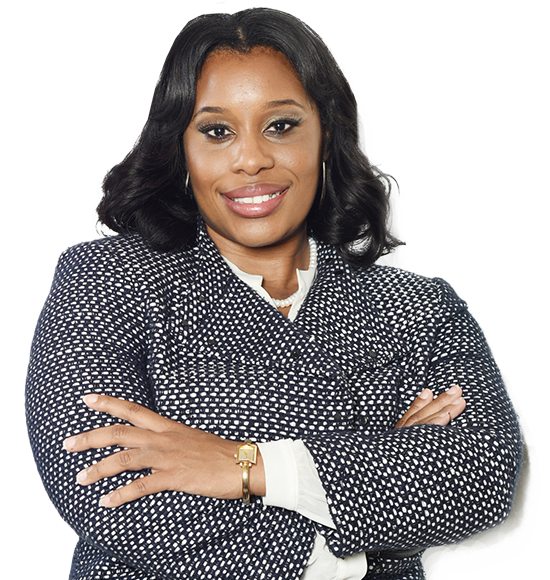 Ms. Thornton is also a member of the GLF Emergency Mortgage Team, a team that specializes in foreclosure avoidance, loan modifications and loan workouts. She has over 20 years of property and casualty experience as an insurance adjuster where she adjusted claims in over 23 states for automobile accidents, homes and commercial accidents. She is a member of the Georgia Association of Paralegals. Ms. Thornton has been in Atlanta for over 15 years but is a native New Yorker and a die hard Yankees fan.